ALI is sitting on the couch watching TV. She’s eating a small bowl of popcorn and talking to COLE, who is in the kitchen. So I told my boss that if he really needed me to, I could type up his kids’ homework, but probably they should learn how to do that. Cole comes in with a ridiculously large bowl of his own popcorn. Totally, these people are so entitled. Are you seriously about to eat that whole thing? Yeah, I’m training for the marathon. I need the energy. If you say so. How far are you running tomorrow? Cole pulls out a bottle of caramel sauce and starts pouring it all over the popcorn. He keeps pouring. He empties the bottle. Ali just stares. Are you sure you can have that much sugar? Totally! I’m going to end up burning over 2000 calories tomorrow. I don’t want to hit the wall like halfway through. Oh, I forgot something, hang on. He walks back into the kitchen to get something. Ali sneaks a little popcorn with the caramel sauce. Cole comes back in with a plate piled with bacon. 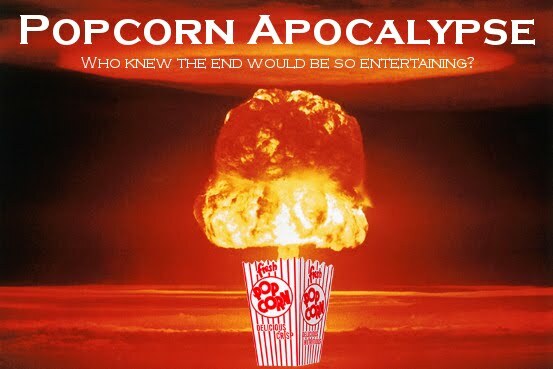 He starts breaking up the bacon and sprinkling it over the popcorn. Oh my god, you’re going to kill yourself! No way, my heart’s pumping way too efficiently to let this clog up my system. I need the protein, and actually I need the salt too from all the sweating I’ll be doing. Seriously, I read about this online. Couldn’t you eat some chicken and whole grains or something like that instead? This just seems excessive. Look, I love food and I love running, and this is the best way to combine the two. It’s only for the training period. I’ll go back to normal after I run the race. He pulls a vial out of his pocket and sprinkles white powder over the bowl. What is that, like powdered sugar? Oh, this? No, it’s cocaine. Cole stuffs a handful of this mess into his mouth. What?! What are you doing to yourself?! Lay off me! I need the energy! Cole had the energy all right. By the time the marathon came, he weight 265 pounds. He started off sprinting at a pace of a five-minute mile. His heart exploded on the third mile. He made it another half-mile before he dropped dead. He was an idiot.